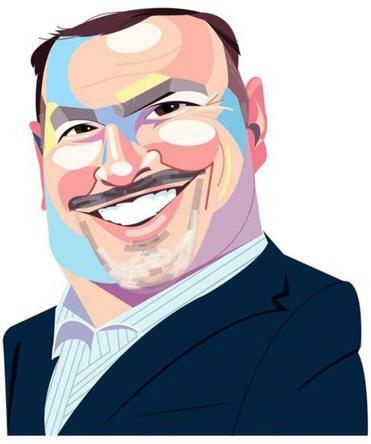 John Ferrara’s investment banking business has come a long way from the days when he pulled together a handful of colleagues to salvage Arthur Andersen’s local M&A practice in 2002. He has steadily built Boston-based Capstone Partners into one of the biggest investment banks in the region by providing merger advice to mid-size companies. And now, Ferrara has engineered what could end up being Capstone’s most important deal. This time, though, it was his firm doing the acquiring, not a client. Capstone has just completed the acquisition of Headwaters MB, a Denver investment bank, in a deal that triples the size of Capstone’s workforce to 150 people. Capstone will change its name to Capstone Headwaters. The firm now has 18 US offices, as well as locations in London and Sao Paulo. The deal was over a year in the making, evolving out of longstanding conversations with Phil Seefried, the founder of Headwaters. Seefried has joined Capstone as its president, while Ferrara will be CEO. Even though Capstone is much bigger, Ferrara says the firm’s focus will remain on mid-size business clients, with deals of up to $250 million. The goal is to continue to provide more personalized service than what the big investment banks can offer. Neither of the firms, it turns out, hired investment banks to help with the deal. Ferrara says he regrets it, primarily because of the time it took from his day job to make sure the integration happened seamlessly. Stavis Seafoods has a new partner to help with its ambitious expansion plans. The South Boston seafood distributor has teamed up with IMV, a Dutch fishing conglomerate with operations on four continents. IMV has taken an undisclosed stake in Stavis Seafoods, in return providing funding for the nearly 90-year-old company. Stavis will also now process IMV-caught fish, although it will still process seafood obtained through other companies, as well. The deal also means that Richard Stavis, formerly the company’s CEO, will take on a new role of chief sustainability officer. President Chuck Marble has been promoted to take Stavis’s place as chief executive. Stavis says his new job will involve more outreach within the industry, as opposed to overseeing day-to-day operations. He says he expects the arrangement with IMV will lead to more jobs in Boston, where the company already employs more than 100 people. He says the deal should also help with the company’s plans for a new seafood complex in the South Boston marine industrial park, a project run by Cargo Ventures and its affiliate, Millennium Partners. When Suffolk Construction won the contract to build Brigham and Women’s Hospital’s newest building, it gave Suffolk’s chairman and CEO, John Fish, a reason to visit the hospital. He was not disappointed. Now Fish has another reason to visit: He is the new chairman of the Brigham’s Board of Trustees. Fish has been a board member at the Brigham for about two years. He said he recently stepped down as chairman of the boards of Boston College and the Federal Reserve Bank of Boston, freeing up more time for him to spend on health care issues. While the Brigham is one of the state’s pricier hospitals, Fish said it’s committed to providing affordable care. Fish is taking over for Scott Sperling, the former chairman of the hospital’s board, who has moved to a new role as chairman of the board of Partners HealthCare, the Brigham’s parent organization. Sperling is copresident of Boston-based Thomas H. Lee Partners, a private equity firm.